Try to save the day and become the greatest hero in the world, but watch out for the evil Pinhead who will stop at nothing to put you in the gutter using his dastardly mechanical contraptions and his seemingly endless supply of pinions. If you cause a little collateral damage on the city in the process then it's all worth it for the greater good, the people should still love you. 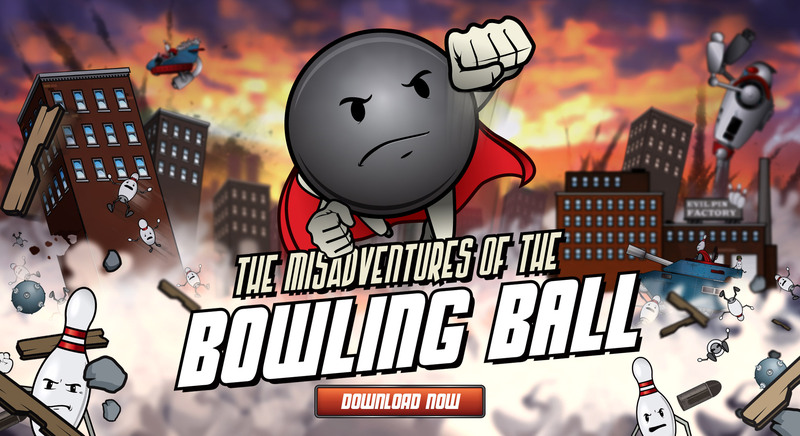 This endless runner game is based off the comic series 'The Misadventures of the Bowling Ball' by Glen Hawkes.